In another case of an entrenched operator buying its way into the managed hosting space, Montreal-based Cogeco is buying Vancouver-based Peer 1 Network Enterprises. The C$526M deal will add 19 data centers and extensive expertise in managed hosting, dedicated servers, colo, and, of course, cloud computing to Cogeco's footprint. Additionally, beyond hosting and cloud services, Peer 1 operates its own network and an associated CDN infrastructure, both of which reach deep into the US and Western Europe to boot. As with CenturyLink's purchase of Savvis gave it an international dimension, Cogeco's addition of Peer 1 will take it far beyond the geographical boundaries of its cable franchise territories. Cogeco's Cable division is doing the buying, and intends to turn the Peer 1 internet infrastructure assets toward gaining share in the SMB marketplace. 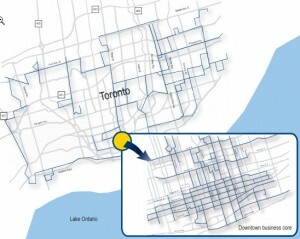 But while cable is their flagship business, I suspect we're talking about some tight integration with the Cogeco Data subsidiary and its deep Toronto metro fiber footprint. After all, in that geography you have the last mile fiber, the colo, and the overall market presence all in one place. Cogeco also recently expanded its MSO footprint inorganically in the US by buying Atlantic Broadband, and it seems prudent to ask what other assets they may be looking to purchase.